The United Nations took action last week to protect global homosexual and transgender activity by appointing a “czar” to investigate discrimination and violence against them. The U.N. Human Rights Council (HRC) on Friday announced it has appointed the U.N.’s first-ever independent expert who will specifically investigate anti-LGBT discrimination and violence around the world. 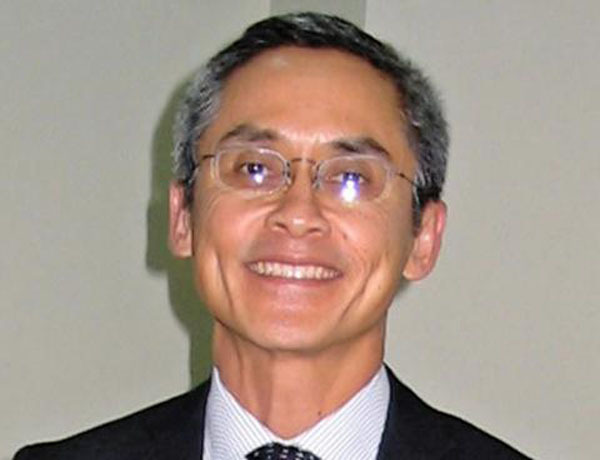 Vitit Muntarbhorn is an international law professor at Chulalongkorn University in Bangkok. … The vote is the first time the U.N. has approved a resolution that specifically deals with issues related to sexual orientation and gender identity. The U.N. Human Rights Council on June 30 approved a resolution that created Muntarbhorn’s position. The event was the highest-level meeting on LGBT rights that has ever taken place at the U.N.
Saudi Arabia, a nation in which homosexuals are murdered, other Muslim countries, and Russia were disapproving of the creation of a LBGT Investigator. The said they will not cooperate. The United Sttes, however, was effusive n its approval. US Secretary of State John Kerry, US Ambassador to the UN and the Director of Human Rights Global were approving of the measure. The appointment of renowned human rights expert and social commentator Vitit Muntarbhorn as the UN’s first independent expert to investigate violence and discrimination based on sexual orientation and gender identity has won widespread approval around the world. … Ty Cobb, director of Human Rights Campaign Global, was quoted on washingtonblade.com as saying Mr Muntarbhorn’s appointment was “a huge step forward for LGBTI human rights worldwide”. assess the state of LGBTQ human rights, liaise with LGBTQ advocates and allies around the world and engage with governments and civil society to make recommendations for combating violence and discrimination against LGBTQ people. In addition, the expert will serve as a bridge between the U.N. Human Rights Council and the organization’s General Assembly, and be empowered to issue private communications to governments, including in emergency situations. The matter was referred to the Human Rights Council (HRC) of the United Nations on July 1, the next day after the shooting, and after four hours of debate, the HRC voted to create the position. Muntarbhorn was tapped and his three-year term began September 1. Botswana, Ghana, India, Namibia, the Philippines and South Africa. (6) Even though South Africa has strong constitutional protections for homosexuals, so strong that are dubbed “The Rainbow nation”, their abstention was on the basis that the HRC was moving “too fast”. Argentina, Brazil, Chile, Colombia, Costa Rica, Mexico and Uruguay. God’s giving over sinful mankind has a dual sense. First, in an indirect sense God gave them over simply by withdrawing His restraining and protective hand, allowing the consequences of sin to take their inevitable, destructive course. Sin degrades man, debases the image of God in which he is made, and strips him of dignity, peace of mind, and a clear conscience. Sin destroys personal relationships, marriages, families, cities, and nations It also destroys churches. Thomas Watson said, “Sin … puts gravel in our bread [and] wormwood in our cup” (A Body of Divinity [Carlisle, Pa.: Banner of Truth, 1983 reprint], p. 136). We know that the time is coming when God will give over the world to its choice, sin, and then directly pour out His judgment. The Man of Sin (antichrist, 2 Thessalonians 2:3) will appear and promote and allow any and all manner of sin one can dream of. Man is inventive in ways to sin, (Romans 1:30) and thus it will be a horrific time. That future time will be a period when God sends down His direct judgment for sin. Until that Day, one can easily see the progress that global sin is making in the world. There is no higher level on earth than the United Nations … Praise God that the highest levels for the Christian has no limit because its upper reaches are Jesus Christ, in whom our minds are no longer darkened by sin but are illuminated by His righteousness, glory, and holiness. I decided to reblog Elizabeth Prata’s article rather than save it for this week’s Saturday Sampler because it’s too important. As Christians, we mustn’t respond to things like this in demonstrations of anger, but we certainly need to pray for our government leaders. Most importantly, we must proclaim the Gospel to a world increasing caught up in sin.